Our unique designs are perfect for 30th & 40th birthday gifts, 1st wedding anniversary gifts and wedding gifts for travel loving couples. Our customisable travel maps are perfect if you have recently returned from a trip or holiday and you would like to remember your favourite places. We custom make each map to order by adding all of the places you'd like to feature on the map. With some of our maps you can add travel tags and include messages or special memories - great to look back on in years to come! Perfect for adding your travel plans to before you go and for jotting down your thoughts and experiences whilst away! 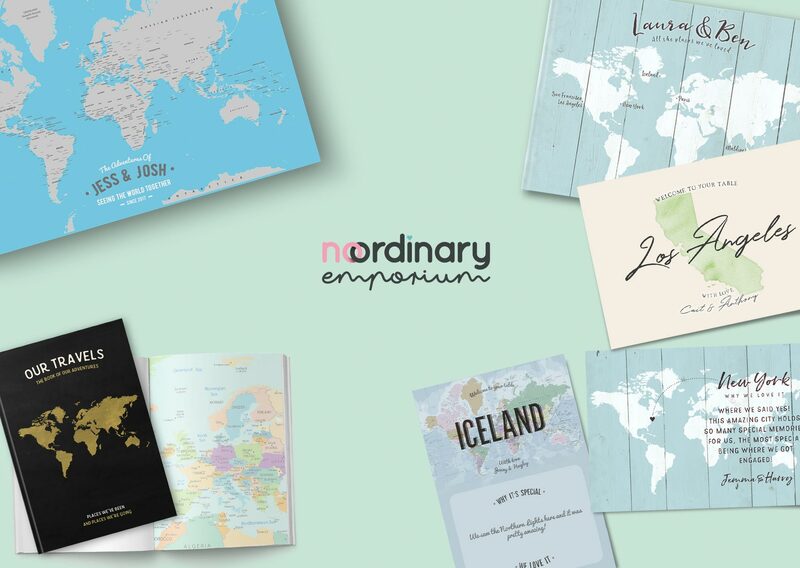 Personalised travel journals make a great gift for a travel lover about to go on their next trip or for those planning their next big adventure. Our travel notebooks feature your favourite places on the cover, or the places that you're going, and inside the pages are either blank or have pages featuring different country views. Any correspondance should be sent via the contact form.